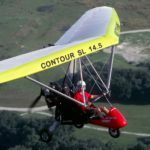 In the business for many years, North Wing and its principle designer Kamron Blevins has climbed up the ranks to be the top American builder of weight shift control Light-Sport Aircraft (casually known as "trikes" because of their three-wheeled undercarriage). 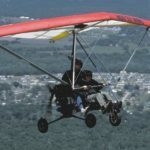 North Wing and Kamron also build unpowered hang glider wings for those enthusiasts and because of this concentrated knowledge and experience, North Wing is widely accepted as the supplier many other trike builders use for wings above their carriages. 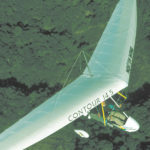 It may be a niche within the LSA and ultralight industry, but it's one North Wing convincingly owns. North Wing makes two lines of weight shift aircraft. 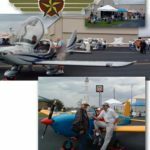 One group fits the Light-Sport Aircraft ASTM standards. These are two models of the Scout XC using the four cylinder, four stroke Rotax 912 engine and two models of the Sport X2 powered by the 65-horse two stroke Rotax 582. In the Part 103 ultralight space North Wing has four models. 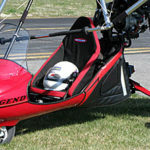 The Maverick 2 Legend and the Maverick 2 RT are comfortable single seat cruisers while the new Solairus and established ATF (Air Time Fix) trikes are soaring machines intended for launch and then shutting down to catch thermals. All these aircraft are available in ready-to-fly form and run from less than $20,000 to a shade over $50,000. Those aircraft and prices make for some wonderful bargains in fully-assembled aircraft. The Part 103-legal versions required no pilot license, aviation medical, or FAA N-numbers. Sweet! Yet, as the late-night TV ads boast, that's not all. North Wing also makes an entire line of delta wings and some fine-flying wings these are. 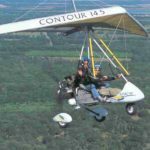 Kamron Blevins started his career making hang glider wings and those pilots are very demanding of smooth surfaces with the least drag and the most precise handling to allow extended soaring flights. Kamron has steadily refined his art of sailmaking — and this form of highly exact sewing is most definitely an artform — such that the wings his company produces today are wonderful flying constructions. With all North Wing has to offer and highly affordable prices as well, you surely should check out this Northwestern U.S. company. Their website is loaded with information and we have several videos to tell you more. 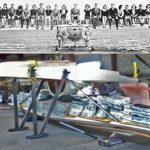 Splog: Torture Testing… Let Freedom Wing! Most pilots never probably have witnessed the testing a wing endures before designers and regulators will sign off on it, signaling that it has been adequately stressed so that pilots can depend on it. North Wing builds, well… wings, as you might expect from their name. 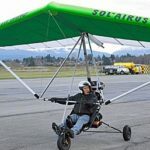 Here’s the sharp new Solairus (yes, that’s the right spelling) from North Wing, the premiere American producer of weight-shift trike ultralights and Light-Sport Aircraft. Here’s another in our growing series of mini pilot reports where you get some of the benefits of a full-length pilot report in a video format. North Wing makes more trikes than you might think. 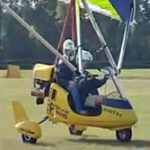 We also have a video on the sweet little Solairus, a soaring trike. 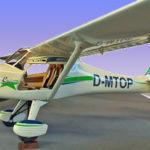 I’ve been writing about very affordable aircraft•, specifically about Part 103 ultralight vehicles. From the land of sky-blue waters comes … no, not a beverage but Canada’s first electric ultralight. Exhibitor Chris Regis of Paradise USA (representing the P-1) reported “good visitor traffic” and “excellent organization” from the people behind the Heart of Texas LSA Expo. Splog: Think All Trikes Are Foreign? Think Again! Weight-shift control LSA, affectionately referred to as “trikes,” are often made overseas. A couple of years ago, TC’s Trikes owner TC Blyth and North Wing owner Kamron Blevins joined forces in a cooperative arrangement. Two years ago, I flew and reported on the only model TC’s Trikes offered. Everybody knows that trikes are composed of a chassis and a wing. 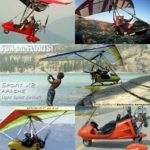 Trike and trike wing manufacturer North Wing Design has debuted a new trike called the Apache Sport. All right, what is this? A trike with no upper support? 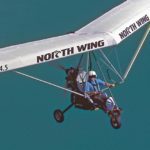 North Wing Design has a history that stretches back into the mid-1980s when 23-year-old owner Kamron Blevins started making hang glider wings.